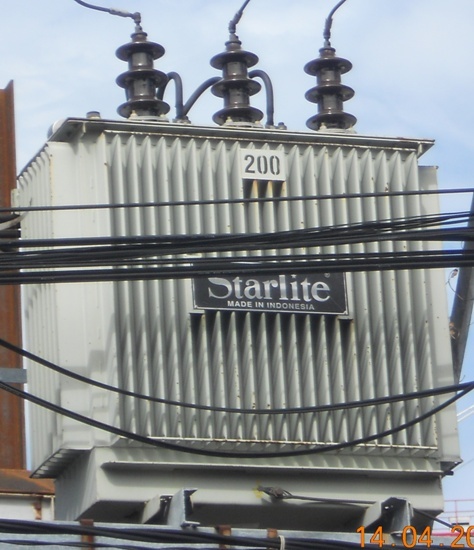 Dear Sir/Madam, (850433) We would like to offer: electrical transformer (transformer). Type: distribution transformer, power transformer, pole transformer, etc.. For residential and industrial use. Features: high-efficiency, low-loss. With specification as follow: Type: oil immersed; Process: hermetic; Power: 400Kva; Input: 380V; Output: 220V; Frequency: 50Hz; Phase: 3; Vector: dyn3; Winding material (HV/LV): copper; Bushing material: porcelain. Available in various capacity from 100Kva up to 1000Kva. ISO 9001 certified manufacturer. Product of Indonesia. For any interested parties, pls kindly contact for further details. Contact: +6285892224657 (whatsapp, viber).